Cold sores are caused by the Herpes Simplex Virus (HSV). Many people carry the virus without showing any symptoms, while others can have painful blisters occurring near the area that the virus entered the body. Cold sores are contagious and tend to recur in the same place. The first symptom of a cold sore is often a burning or tingling sensation which can often be accompanied by an itchy feeling. This generally lasts from a few hours to 1 day. The affected area is likely to show signs of redness and swelling as a blister forms. The blister can be tender and cause pain. Blisters dry rapidly, leaving a scab that can last several days depending on the severity. 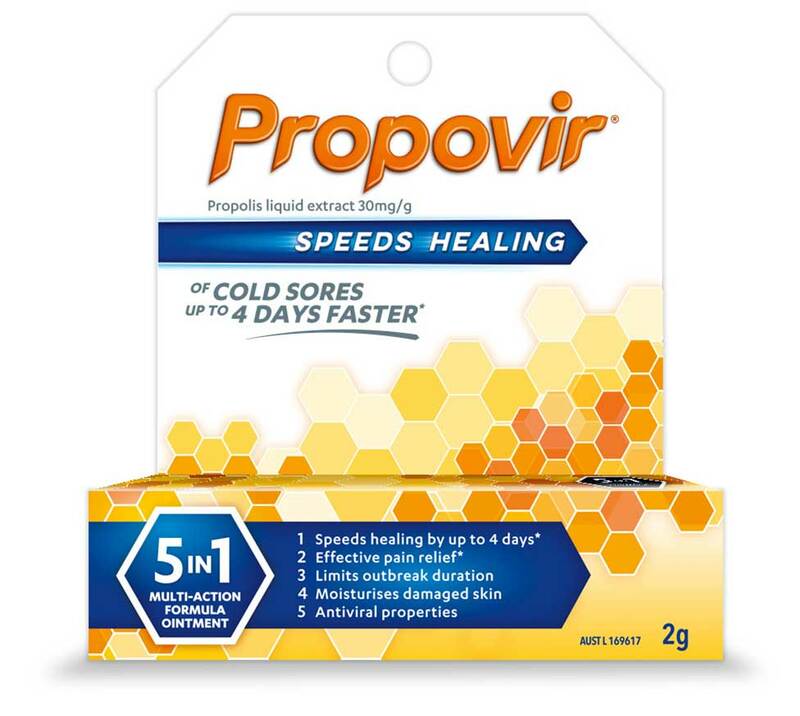 Propovir is a naturally derived treatment shown in clinical trials to heal cold sores up to 4 days faster* with less pain. Effectively targeting all stages of a cold sore, propovir combines naturally based antibacterial, antiviral and local anaesthetic properties to help you with a fast recovery. * Compared to placebo, Hoheisel O., Journal of Clinical Research, 2001. Financed by Hela Pharma AB. Szmeja et al., Otolaryng Pol, 41(3): 183 – 188, 1987.